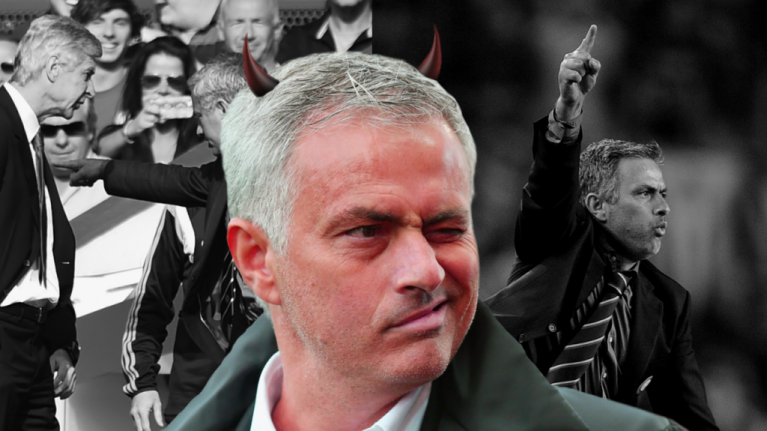 That is not to say he is a bad person or anything like that, but Jose Mourinho has made it abundantly clear throughout his career that - aside from winning - his main hobby is messing with other people, and seeking revenge. If he feels he has been wronged, or may at some point be wronged by someone, he will not hesitate in his quest to make that someone pay, whether it be through a prolonged campaign of mockery, or an over-exuberant celebration. His wild cupped hand to the ear celebration against Juventus on Wednesday was just the latest example of his shithousery, with the angry reactions of Juventus' players really only adding to the ludicrous drama of it all. That moment was just one in a vast tapestry of shithouse moments perpetrated by the Special One. How well do you remember the others?